Who knew an oil could have so many beneficial uses? Coconut oil has a variety of applications, but is most commonly used in cooking to provide support for the digestive, immune and cardiovascular systems, boost weight loss and as a moisturizer in skin care products. Coconut oil is extracted from matured, dried coconut meat. Coconuts are typically grown in tropical climates and have been used as a staple in many indigenous diets for generations. Coconut oil has a variety of applications, but is most commonly used in cooking to provide support for the digestive, immune and cardiovascular systems, boost weight loss and as a moisturizer in skin care products. Coconut oil is rich in triglycerides, which burn fat by increasing the metabolism of the body (thermogenesis) for greater energy production. Instead of being stored throughout the body as excess weight, coconut oil is processed directly by the liver. Coconut oil can also be used by those with thyroid issues to boost the function of their metabolism – a poorly functioning thyroid can slow metabolism, making weight gain almost inevitable and weight loss efforts significantly less effective. 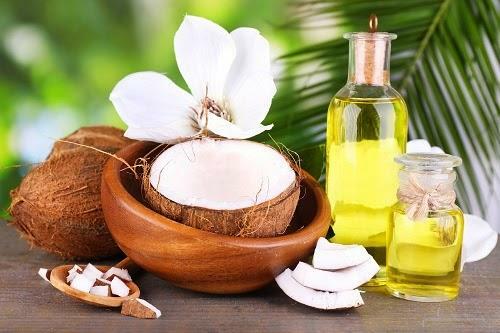 Coconut oil has also been lauded as a great way to heal dry skin and treat many skin conditions. Many commercial moisturizers contain high levels of water which will moisturize your skin for a period of time until the water dries. But moisturizers which contain emollients like coconut oil strengthen your tissues and send moisture deep into the skin’s layers, maintaining consistent hydration and protecting the skin from harmful UV rays and free radicals that can cause damage. Coconut oil also possesses anti-inflammatory properties which can help prevent and clear acne breakouts. While research is still ongoing, coconut oil has been used in the treatment of wounds, scabies, lice and relief from psoriasis. If you have diabetes, coconut oil may be of interested to you. The regular consumption of coconut oil helps regulate blood sugar levels, which supports the production of insulin and, therefore, prevents spikes and crashes that can lead to symptoms of hypoglycemia or hyperglycemia. This oil also helps diminish the side effects of diabetes such as neuropathies or poor circulation. The main criticism of coconut oil is the high calorie count and amount of saturated fat per serving. It’s for these reasons many dieticians don’t recommend consuming coconut oil for the purpose of losing weight. No studies have shown a direct relationship between coconut oil and a decreasing BMI (body mass index) or smaller waistline. However, comparable studies have been conducted using MCT oil, which has many similar properties, and have shown promising results. Furthermore, while saturated fats are normally bad for your health, coconut oil has been shown to lower levels of LDL (bad) cholesterol in the body regardless of its high saturated fat levels. As previously mentioned, the triglycerides also help protect heart function, warding off conditions such as heart disease and atherosclerosis. Lastly, coconut oil also gives your immune system a boost as its antiviral properties protect against the cold or flu.